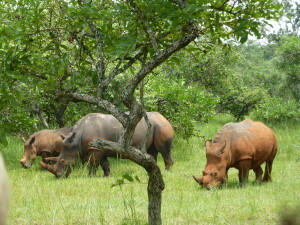 Kenya & Tanzania Safari is destined to serve all safari interests of all age groups and all budgets. These include wildlife safaris, the wildebeest migration safaris, Masai-mara tours, Balloon safaris and Beach tours, as well as special interest Holiday vacation tours. These tours give you a chance to explore Kenya and bring adventure close to your desire. Kenya is a great tourist destination with a combination of wildlife, the Masai people and their culture, crystal clear lakes, Mount Kenya, the Coastal beaches make Kenya an ultimate safari destination in Africa in particular. Tanzania Safaris are one of the most interesting and daring adventure safaris and tours in East Africa with a great deal of tour activities ranging from wildlife tours and game drives in Tanzania’s marvelous National parks especially Serengeti national park with the wildebeest migration as one of the most captivating safari activities in Tanzania. Our Kenya & Tanzania safari packages offer you great opportunities for a trip of your life time as you enjoy big five game viewing, take relaxing holidays along the coastal beaches or engage in an active trekking to the peaks of the Kilimanjaro Mountains. We take you through the most interesting places of Tanzania which avail the great opportunities to experience the heart of a classic Tanzania safari. With the experience we have developed over time and the high degree of professionalism, Jewel Safaris is ready to take you through Tanzania. We also offer a wide range of custom made Kenya & Tanzania Safaris with custom cut vehicles fit for the ultimate safari adventure. Our tour consultants can guide you through constructing the best Itinerary that suits your budget as well as your hearts inner most desires for adventure and African Vacation. Try it for an over lasting experience. 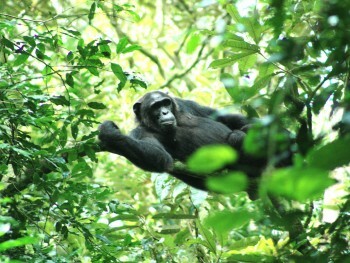 Take a look at our Kenya & Tanzania Safari Packages. Know Kenya with this safari, We will visit Meru National Park, Samburu Game Reserve with rare species like the long necked Gerenuk, Reticulated giraffe, Grevys zebras. 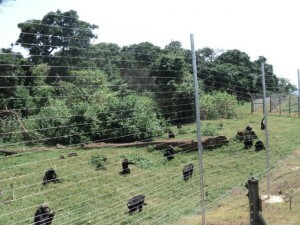 Then head to Sweetwater’s Private Sanctuary in particular the chimpanzee and be able to touch Baraka Rhino. 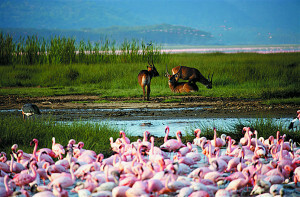 Proceed to Lake Naivasha and Masai Mara, the highlight of this safari. This Kenya Safari will take us to Lake Nakuru National Park with lots of scenic views enroute; the view of the great rift valley, Volcanic Mount Longonot, and Lake Naivasha. 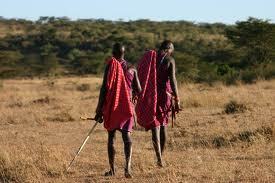 We will end with Masai Mara the haven of the big cats. 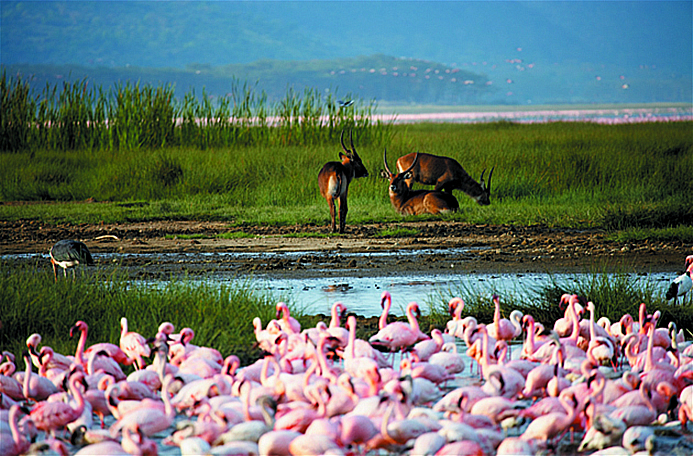 The Flamingos are the special thing at Lake Nakuru National Park together with other different bird species. We will be able to see a plenty of other mammals including the white rhinos, buffaloes, the giraffes, hyenas but the list is endless.